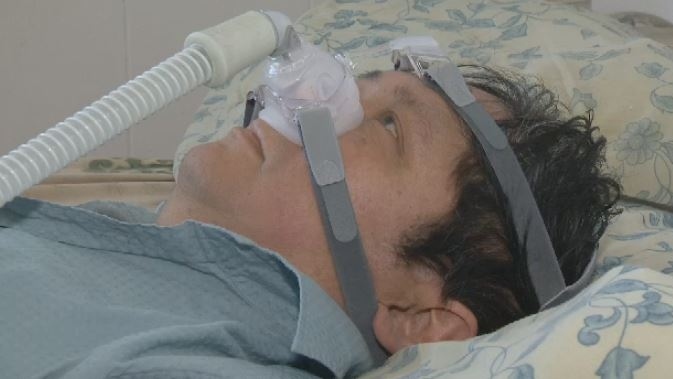 A program in Nova Scotia is giving people easier access to CPAP machines -- an important, but expensive, piece of equipment for those who live with sleep apnea. Sleep apnea is a potentially serious sleeping disorder in which breathing stops and starts. It affects roughly 30,000 Nova Scotians. CPAP machines provide air at a pressure high enough to prevent the collapse of a person’s airway, allowing them to breathe without much effort. Without access to a CPAP machine, sleep apnea can lead to a lack of sleep, and even heart problems, diabetes, and stroke. But the machines come with a hefty price tag. “The average cost of a machine is about $2,500, but they can be as expensive as $5,000,” says Michelle Donaldson of the Lung Association of Nova Scotia. With that in mind, the Lung Association of Nova Scotia has been running its Sleep Apnea Refurbishment Program for almost 10 years -- providing CPAP machines to those who may not be able to afford one on their own. The equipment is then put through a series of tests. “We go in and we check the pressures, make sure the treatment levels are appropriate for the patients, and then we send them off,” says Butler. Ronald Yhap is one of the 30,000 Nova Scotians living with sleep apnea. He was diagnosed after undergoing a sleep study. “It measured how many times you stopped breathing in an hour and mine was quite high,” says Yhap. “Some people can have these as many as 30 times an hour, where they’re stopping breathing at night, and the sleep apnea machines actually help keep those airways open,” explains Donaldson. Yhap was able to secure a CPAP machine through the program and says he is already seeing results. “I’m better rested, yeah,” he says. Donaldson says anyone with a valid prescription can apply for the program. “They contact us, we put them on the list, and the list is dealt with kind of on a first-come, first-serve basis,” she says. To date, the refurbishment program has helped nearly 1,000 Nova Scotians.